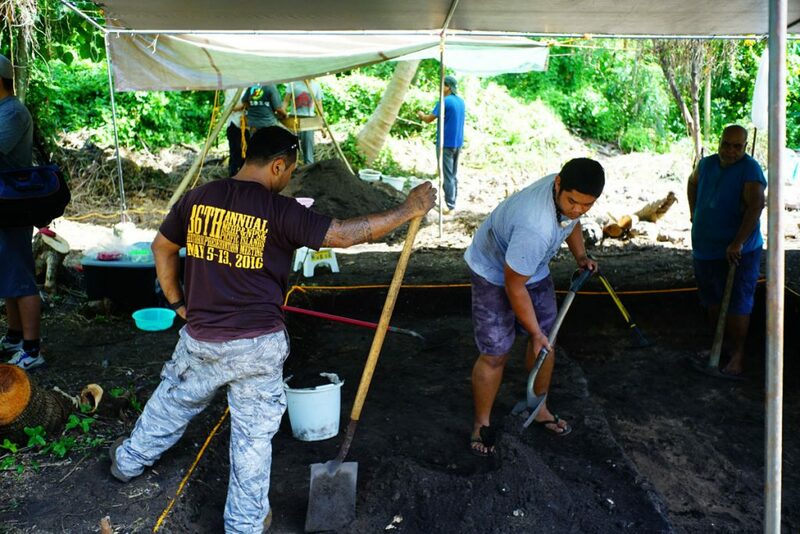 Exploring Early History on Saipan | Where's Fran? 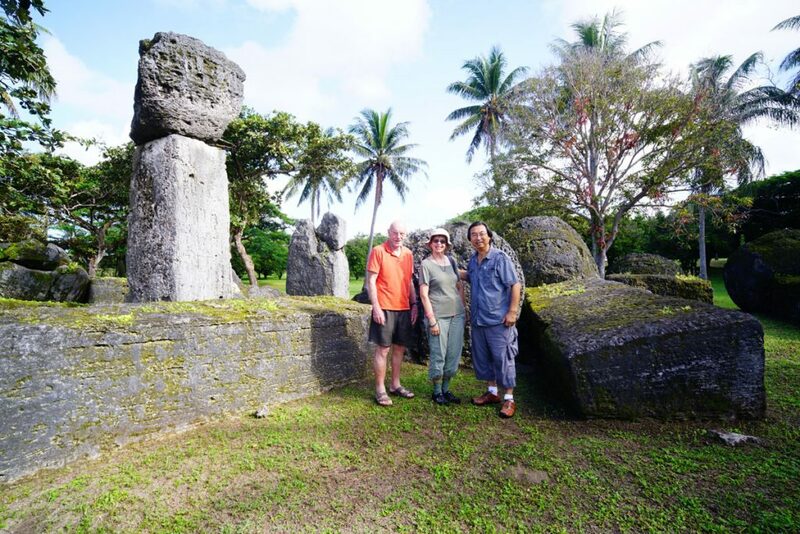 We all made a side trip to Tinian to look beyond the famous House of Taga, with its gigantic stone pillars, at the nondescript grass-covered site nearby that contains treasures even more valuable in opening up the secrets of the island group’s deep past. With Evert Arevalo, a cameraman from Guam, we shot hours of interview footage and other visuals for the video documentary we’re doing on the first settlement of the Marianas. We did brief interviews with a few of the old-timers at the manamako center. 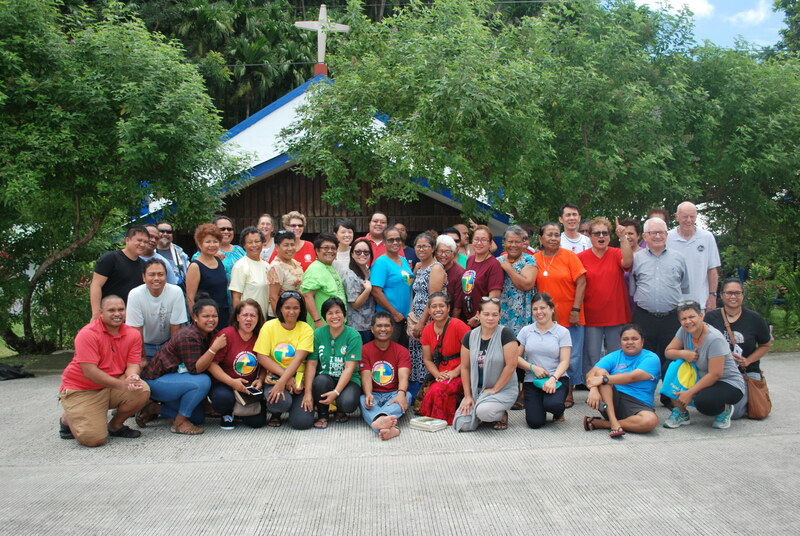 One woman ran through a list of Chamorro words that were nearly identical with Tagalog. We did a short interview on camera with Peter Bellwood, an well-known archaeologist from Australia who wrote the pioneering work on the settlement of the Pacific. We also attended a lively presentation by two of the archaeologists on their findings in the Marianas. On the last day of our visit, we caught Genevieve Cabrera on film. She is a woman who has as deep an understanding of her past as anyone I’ve met, and she has a passion for learning more that is unbeatable. Hiro and Becky Kurashina, two of the archaeological party, with me in front of the House of Taga display on Tinian. 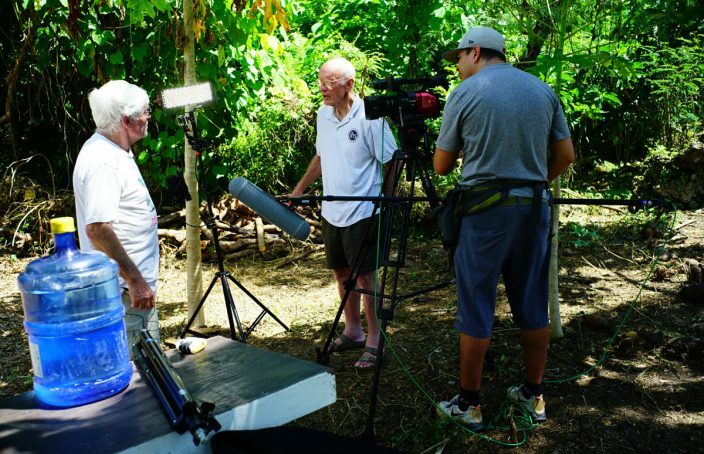 By now we have most of the basic interview footage needed for the documentary on the history of the Marianas before the rise of latte stones just a thousand years ago. Marianas history is as rich as anywhere in the Pacific, and it goes back much further than other places. With a little luck, we’ll find the funding to finish the video and get this out to the public by next summer. Watch for it.